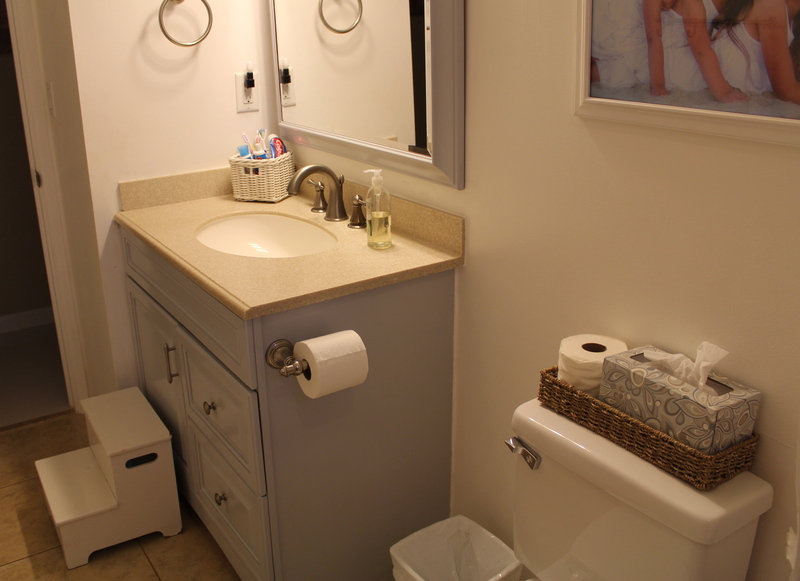 Main Bathroom – another Redo from Gray to White! I have been a VERY busy lady. Why? Well, I was not happy with the way my main bathroom turned out. For a full recap, check out my original post here. 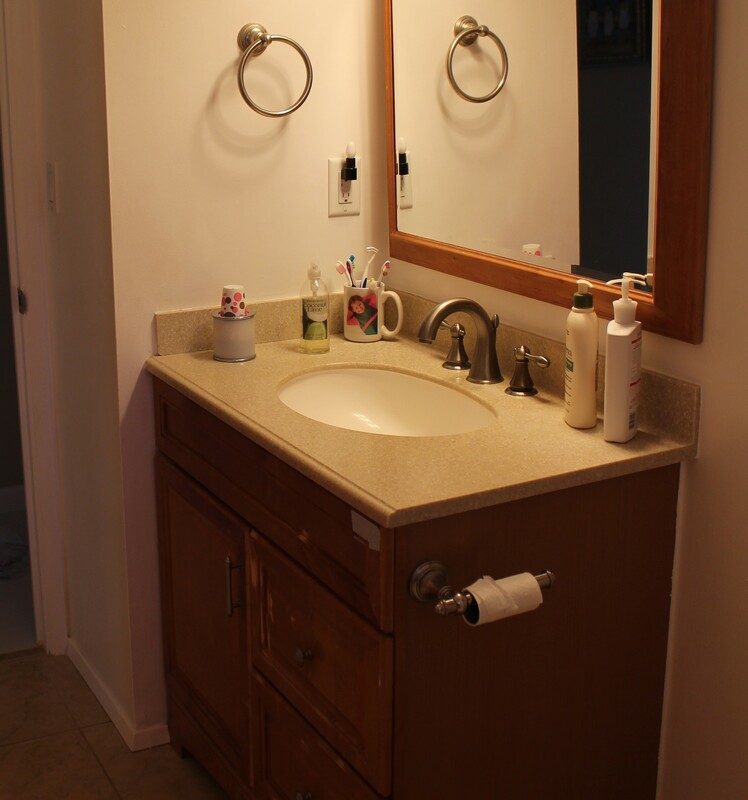 So, since I had a ton of white paint left over from the walls, and it was specifically a bathroom paint (for high humidity), I repainted the vanity and the mirror white. Here are some new pictures. I also want you to see how much an effect the lighting has on the color. The picture (above) is with only natural sunlight through the window. Hope this inspires you, yet again, to do a little painting too!